Robin Burks | How necessary is it to write likable protagonists? How necessary is it to write likable protagonists? Happy New Year! As we start the New Year, I thought I would write a little about something I find myself currently struggling with. As I previously mentioned, I’m hard at work on final edits for Madame Vampire, a novel I hope to release by this spring. As I have been going over and reading the book, though, something struck me: the main protagonist, as well as the person telling the story, is not a very likable character. I didn’t realize this completely until I got to the end, when there’s an important choice that the character makes. My initial gut reaction for the character was to make the selfish and most horrible choice. I had a great deal of inner debate about that, though, but in the end, I decided to remain true to the character. I had to realize that Reinette (the protagonist) is not a nice person. She is selfish, elitist and entitled. And if I wrote her any other way, I would not accurately portray her. A few days ago, I came across this article on Mythcreants: Five Stories Hurt By Unlikable Characters. At first, I found myself concerned because I am finishing a story about an unlikable character. But I realized that some of the examples given are characters that I don’t necessarily like, but that I relate to. And in the end, I think that maybe relatable characters are more important than likable ones. 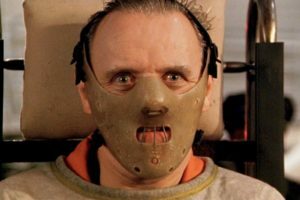 In an interview once, Sir Anthony Hopkins spoke about how he could portray a character as despicable as Hannibal Lecter. He said that he had to find the one thing about the unlikable character that he, personally, liked. Hopkins said that he liked how Lecter was always in control, of his conversations with Clarice, of situations. And he ran with that in portraying the character and he brought him to life. With Reinette, I like her selfishness, because wouldn’t it be nice to sometimes just say “eff it,” and make the decision that bests benefits you without regard for anyone else? Yes, there are consequences when Reinette does it, but she does it over and over, because she can. She is a monster, but she is also a relatable monster. And that takes me to another point: characters don’t have to be likable if they’re relatable. The Mythcreants article mentions Quentin from The Magicians series (and granted, I have not read the books, but love the TV series). Quentin is not likable. But Quentin is relatable: he’s out there in the world with no real sense of belonging anywhere. He’s depressed and struggling with life, in general. His only respite is the escape that he gets from a fantasy book series. And a lot of us, myself included, can relate to that. We’ve been where Quentin starts out: floundering with no real set idea of where we’re going or how we’re going to get there. What do you think, readers? Do you prefer protagonists that are likable or relatable? Do you like a little of both? Do you care if a protagonist is a horrible character as long as their story goes somewhere interesting? Chime in below in the comments. I’ll be looking forward to reading what you think while I sit here and enjoy my fava beans with a nice Chianti.